December | 2013 | Syed Jahanzaib Personal Blog to Share Knowledge ! The Louvre Museum has 8.5 million visitors per year. This blog was viewed about 990,000 times in 2013. If it were an exhibit at the Louvre Museum, it would take about 43 days for that many people to see it. While accessing RM users section , I received “Table ‘radius.rm_wlan’ doesn’t exist” error. On your RM box, create a file in which we will add table information. Now use the following command to import table into mysql database ‘radius’. You can import any missing table from above file and import it in mysql. 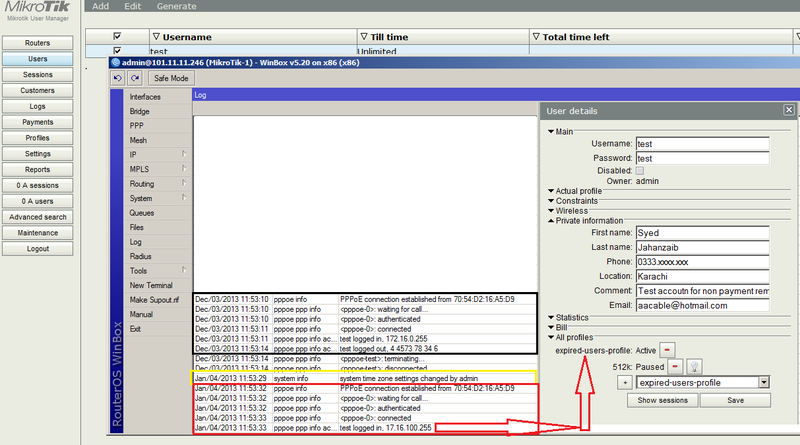 TIME is a small but helpful feature of mikrotik. If you want to implement any rule in specific timings only , then it can quickly help you in this regard. Just for an Example I want to BLOCK all sort of access for an IP from 1:00pm till 3:00pm, then simply create a Firewall rule that will block traffic from this IP address and and in TIME section, modify the required time, something like below . . .
then from 12:00AM they can use 2mps till next day 12:00PM. Today I was in a requirement to clear the Mikrotik LOG window and clear all the commands from the Terminal console history dueto some security and privacy reason. Since I couldn’t found a simple command base method to clear LOG window, I followed a workaround and it worked like a charm. It will delete all previous entries. 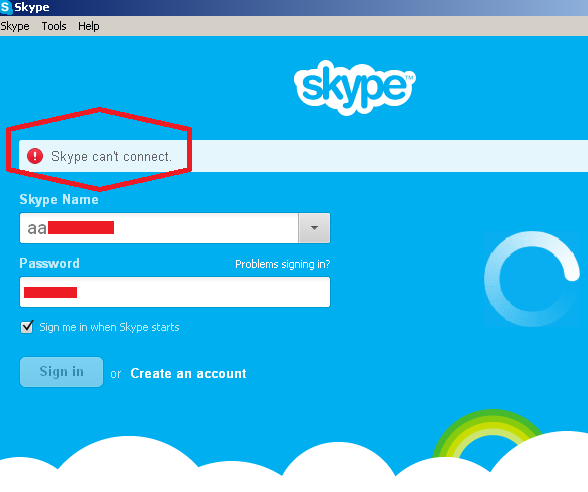 SKYPE is using whole block of IP addresses from various ranges. Using Wireshark & some digging I found following pools which skype is using for its various functions.BUT do remember that with new updates/ver more hosts can be added. 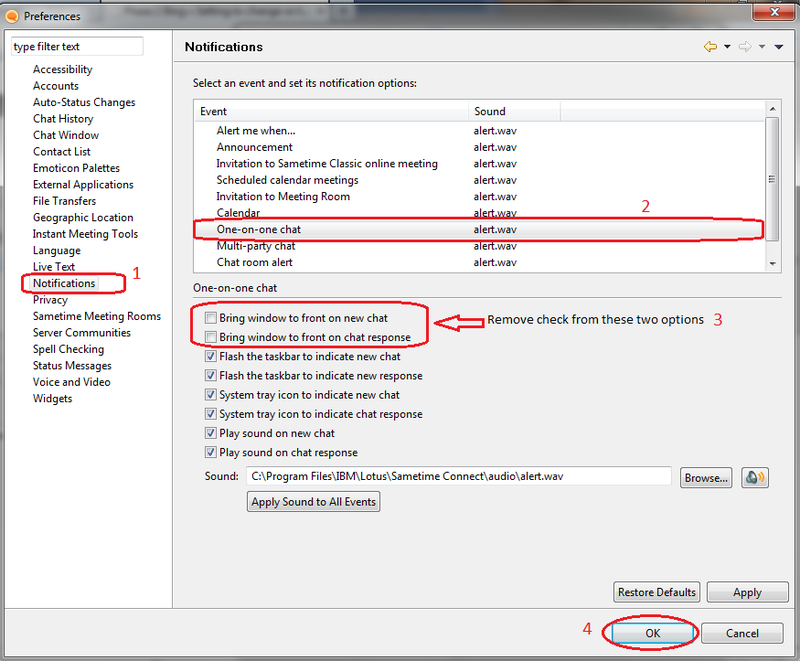 for this purpose you can use Catch Skype Script on mikrotik to detect new addresses and add them to the list. Also it is possible that some valid/legitimate sites may get blocked with this approach, just find the right ip address of the particular site, and allow it before the deny rule. Use following code and then try to connect to SKYPE and watch the results. 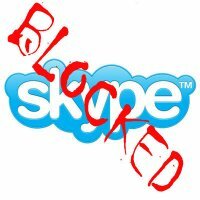 This is purely Hit & Trial method , try it and post your comments or if you have some better way to block SKYPE do let me know.SKYPE have different server’s for different regions, so probably these destinations may not work for you, but at least they are working in Pakistan. After blocking, Result as showed in the image below . . .
Today , a good friend (VirtualIT Support) forwarded me a script which catch all URL IP addresses which have ‘Skype‘ in DNS CACHE and then add it to a address list. 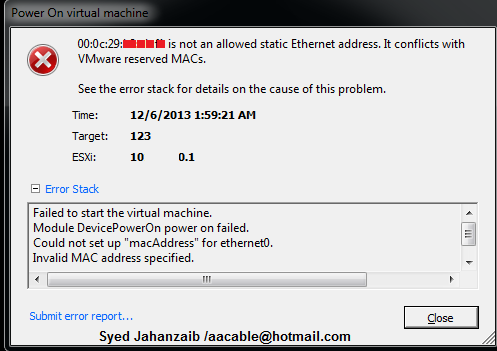 I was stucked with an case (K.S.A Tabook) regarding configuration for dual wan PCC using pppoe client as wan and pppoe serve for user end in one RB. I made this configuration last year but was unable to repeat it when it was required few days back. Following is a short reference guide for Mikrotik base dual wan PCC (using pppoe clients) with PPPoE Server as a authentication server for local users in one Box. You can add as much wan (pppoe clients) as you like. Make sure you change the interface name accordingly. In this example I have 3 interfaces. ether0 (named as Local) is connected with Local LAN users. ether 1 & 2 (named as WAN1 & WAN2) are connected with ISP WAN switch. Some screenshots for the results. If you are facing difficulty in opening dsl modem page, then try following code. Move above mangle rule to TOP (above all other rules in mangle) .Try and let me know. A friend of mine asked me on howto display non payment reminder to users, once there account have been expired on USER MANAGER. 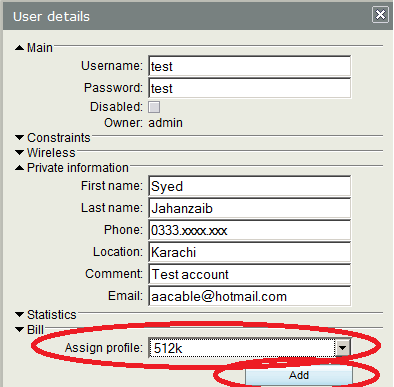 By default when any account expired, he gets user id password error, or if hotspot setup, then it shows profile not found. But rather then showing these UN friendly messages, we can display more meaningful message giving confirmation to user that his account is expired and he should pay in order to continue with the service. To achieve this we have to follow this. 2. 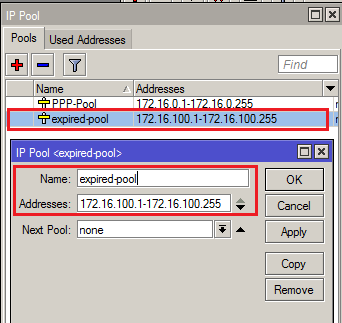 In Mikrotik, First create IP pool name ‘expired-users-pool‘ and then create a NAT rule that redirects port 80 request to local proxy or squid proxy server. 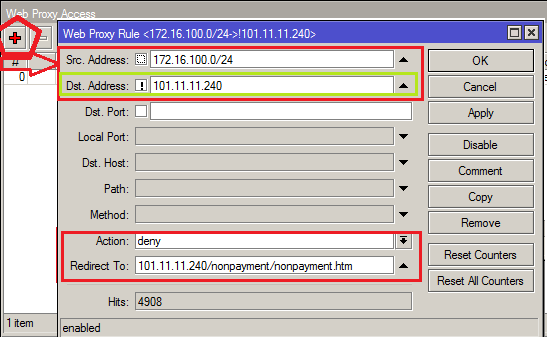 If using SQUID proxy, then you dont need to enable mikrotik web proxy, simply redirect the expired pool to squid proxy, and in squid proxy, create an ACL for this range and deny it, and in deny_info redirect it to local web page. as i showed on ‘howto block ads in squid’ article. 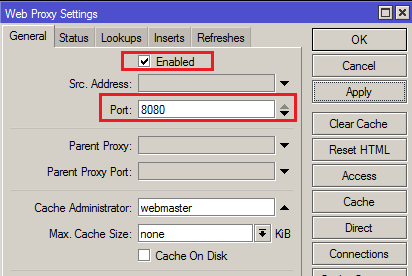 If you dont have SQUID proxy, then You can enable Mikrotik web proxy and redirect request to it. 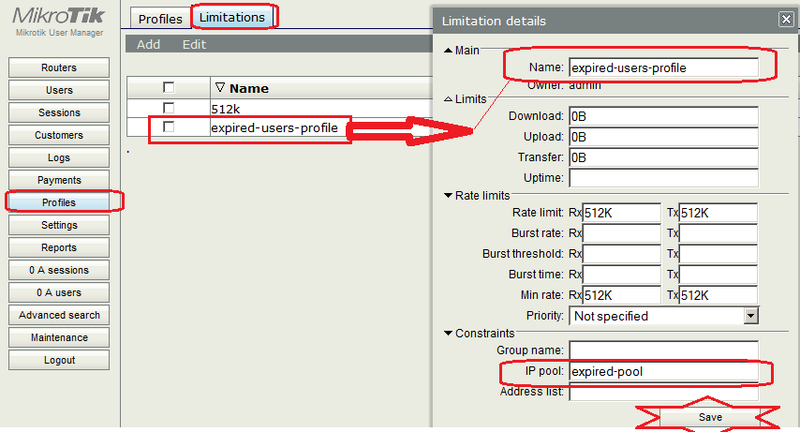 Then create another firewall rule that blocks all traffic coming from this ‘expired-users-pool’ traffic except port 80. 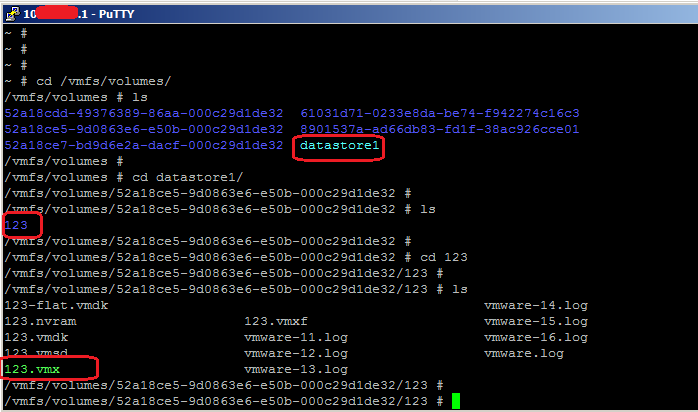 OR in default NAT rule, in src-address add only valid series. 3. 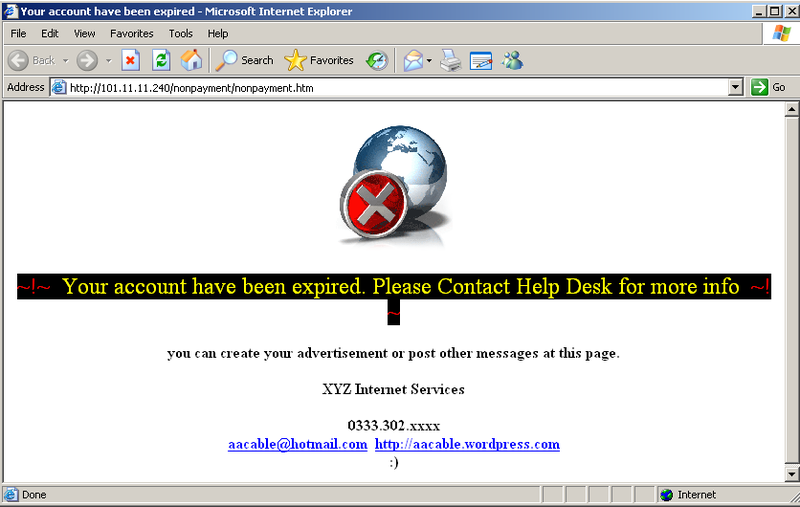 In Web Proxy, create a rule that deny all traffic coming from the ‘expired-users-pool‘ and in redirect, point it to any web page showing your non payment advertisement page. Ok here we go . . . I assume you have a Mikrotik PPPoE server with User Manager already configured and working. Now add user and add any profile , for example 512k , and save. As showed int he image below . 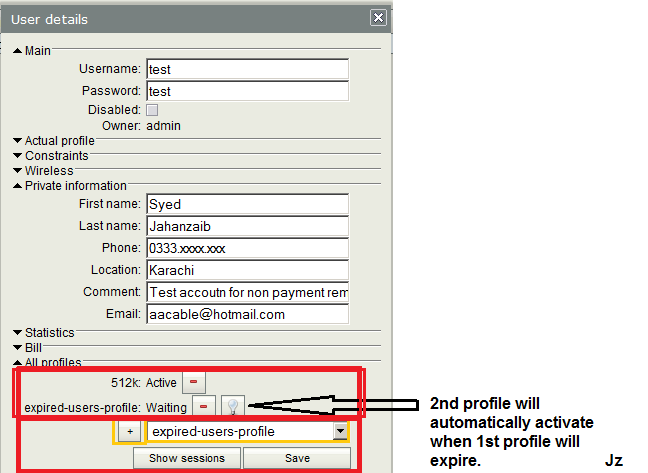 . .
Open that User Properties again, and in ‘All profiles’ select ‘expired-users-profile” and click on + sign to add it. and click on SAVE. User Manager Section done. Now moving to Mikrotik section. > in Dst. Address , click on invert sign, and enter your web server (this is to make sure that request going to your web server where non payment reminder is placed dont get blocked. As showed in the images below . 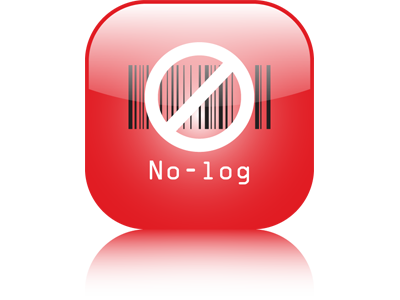 . .
Now create a NAT rule that will redirect port 80 request to local web proxy, which will already have the rule to deny all requests for expired-users pool. OR CLI version . ..
Once the main profile(for example 512k) expire after 30 days , next profile (expired-users-profile) will automatically get active and user will get IP from the EXPIRED pool and mikrotik will redirect it to local web proxy and it will will deny all the request and redirect it to your defined non payment page. When you want to activate this account again, simply take user properties, and remove its profiles by pressing minus sign on each profile, and add 512k or required profile again.